Beautiful 2 story home located in Wexford Chase. Stunning porcelain wood tile throughout main level leads you through a large kitchen opening too the kitchen and breakfast area opening to the living room. This open concept provides ample amount of room for family and friends. Step outside to enclosed Lanai where a outdoor kitchen area resides. 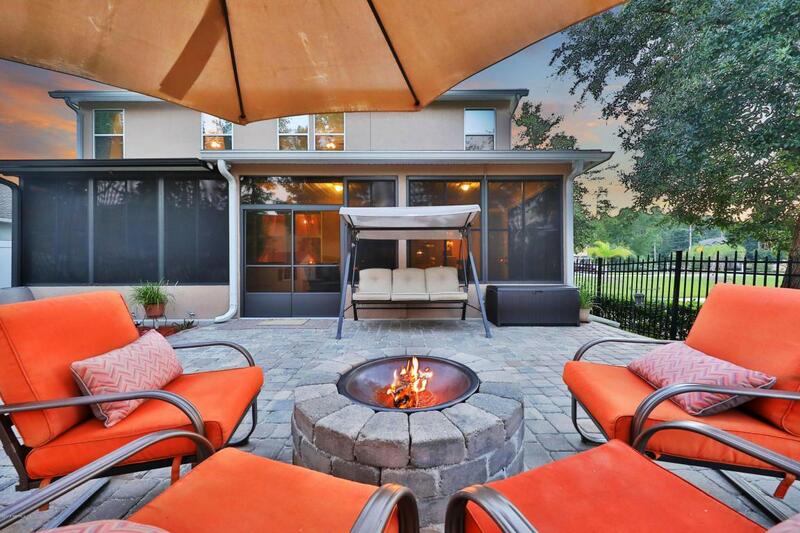 Continue out on to the pavered patio and enjoy your fire pit centered in a fully fenced yard, overlooking a serene water view. A formal dining room is located off the kitchen. Upstairs you will have a large loft area, and split floor plan including Master Retreat with en suite, 2 bedrooms, a full bath and utility room. This spacious home is located in the Mandarin area close to schools, shopping, and access to main highways for easy commute!